The iPhone 11 is set to go big on cameras when it's finally released. New details have emerged about the iPhone 11 camera that seem to suggest that Apple won't be going for an eccentric rear lens setup after all, but one that's much more in keeping with Apple's design ethos. 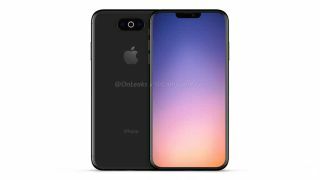 Just last week, some leaked renders showed off an iPhone 11 with a rather ugly rear design - a design very unlike Apple. Another piece of information is that Apple is going big on selfies. There's said to be a 10MP selfie camera on the iPhone 11, which will feature a brand-new sensor that will almost certainly have better depth-sensing capabilities than the iPhone XS. There's not much else to go on, but previous rumours have suggested that Apple will be using a new ToF (time-of-flight camera) sensor which would make the handset's AR capabilities even more impressive than they currently are.